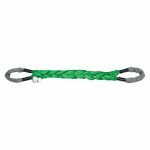 Long-lasting and Lightweight Synthetic Slings | Holloway Houston, Inc.
At Holloway Houston, we understand that our customers’ applications must always operate at peak performance. This is why we offer a wide range of lightweight synthetic slings that can withstand the arduous working loads you demand. 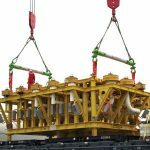 By manufacturing using the highest quality materials available to the industry, Holloway Houston provides swift, efficient custom sling fabrication at whatever time, for whatever industrial application. 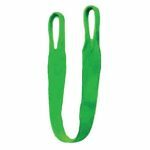 Lightweight and extremely flexible, quick-to-deploy and easy-to-handle, our top-of-the-line synthetic sling line is economical and long-lasting. We also offer aftermarket service inspection and re-certification as needed. Good for accessing in awkward locations and wide flat load bearing surfaces. Provides smooth lifting of fragile objects. Anti-cut and abrasion resistant. Cordura protection available. Available in various finishes. 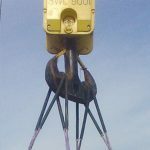 An exceptional lightweight sling that can lift from 18 tons to 600 tons @ 5:1 ratio with exceptional performance. Adaptable to extreme environments and proof-tested prior to shipping. Have become an industry standard, offering great flexibility for many applications. Holloway Houston’s dual-layered roundslings offer the benefit of more even wear due to changeable load bearing points as compared to slings with eyes.